The top knot bun is a very clean and practical hair style to sport. The style is easy to master for new stylists as well. 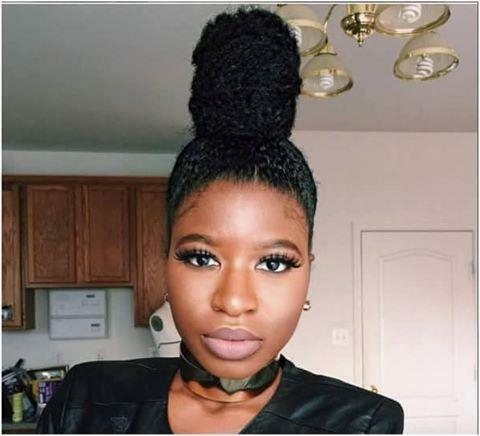 The top knot bun also looks beautiful on African hair. 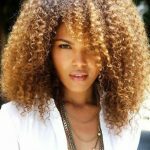 The texture of African hair makes the bun notably beautiful and unique on each woman. Top knots have been in fashion lately and they have always been a classic choice among women of every age and profession. The sleek and tidy look that you can achieve with this hairstyle makes it very suitable among women for every purpose. 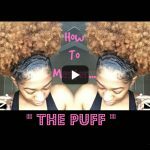 This is a style that is very easy to do and anyone can master the art of the top knot. 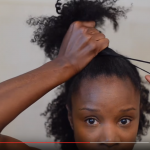 Here is what I feel about a well-executed video of the top knot on African hair that I came across lately. 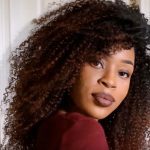 First and foremost thing is to tame the hair with hair creams and pomade so that it can be pulled back in a ponytail easily which is quite difficult thing to do with African style hair texture. Then wrap the hair around the base of the knot and create an upright bun on top of your head which should be tightly knotted. The end result is very clean. There is no frizz and flyaway around your face and the way it has been knotted, it does not look too delicate to be coming off. The texture of the hair is also adding extra glamour to the entire style. I particularly like the style for the practicality of the method applied to create it.